Sylvester Blish was a very active and energetic man. He had the fiery and impetuous temperament of his mother, combined with the determination of his father. He was public spirited and active in politics holding many public offices in Connecticut. He was lister in Glastonbury in 1815, 1817 and 1818; was tithingman 1817, 1819 and 1826; was surveyor of highways in 1820, 1821, 1823, 1824, 1825 and 1827; was on board the relief in 1822 and 1823; was collector of taxes in 1825; was grand juryman in 1828 and 1829; was town agent and fence-viewer in 1830; selectman in 1832 and 1833; and a member of the Connecticut General Assembly in 1835. He was also prominent in military matters and rose through gradual promotions until he was Colonel in the Connecticut Militia for several years before he left Connecticut, in 1836. 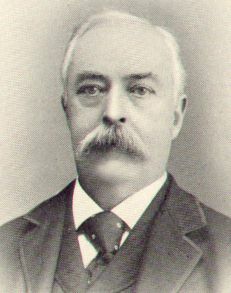 He was one of the administrators of the estate of his brother Aaron Hubbard Blish, and also administered on the estate of his father. In 1835 a rumor was spread throughout Connecticut and Massachusetts that the Catholics were colonizing the fertile Mississippi valley with the intention of founding a Catholic hierarchy there, and a movement was inaugurated with the object of sending out Protestant colonies and settlements to counteract the Catholic movement. 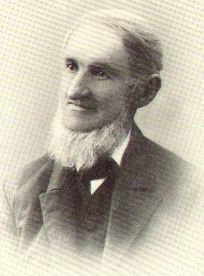 A stock company was organized in Wethersfield, Connecticut, for this purpose, the Reverend Caleb Tenney, of Wethersfield, and the Reverend Gardner Spring of New York, being among the leaders of the enterprise. Colonel Blish joined the Wethersfield company, which was called "The Connecticut Association." 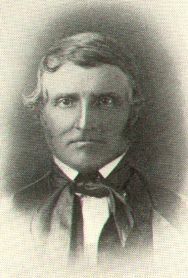 A find raised, and in 1836, Colonel Sylvester Blish, Elizur Goodrich and Reverend Ithamar Pillsbury were chosen to proceed west and purchase lands. 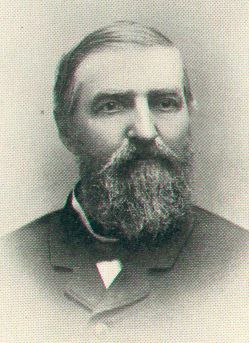 Reverend Ithamar Pillsbury was not a member of the association, but had been in the west the preceding year, in the interest of another similar association, so that his experience was valuable. Elizur Goodrich was a surveyor. They went to Illinois, a trip that was not without considerable hardship at that time. Mr. Goodrich became discouraged by the vastness and seeming endlessness of the prairies, but Colonel Blish, encouraged by the zeal and hopefulness of Mr. Pillsbury, pushed the work to a completion. They selected and entered over fifteen thousand acres of land in Henry County, Illinois, and returned to Connecticut. Colonel Blish was so impressed with the fertility of the soil in Illinois and the future possibilities of the country, that he determined to make his home there. He sold his lands in Connecticut, and in the spring of 1837, started with his family for Illinois, making the entire trip in a carriage. His wagon, farming utensils and household effects were shipped by water to New Orleans and from thence they came up the Mississippi river to the settlement at Rock Island, about forty miles from the location of the colony lands. These lands were happily chosen. The greater portion lay to the south of a large grove of oak, walnut and hickory timber. To a person reared among the stony hills of Connecticut or Massachusetts, these vast rolling prairies, with their rich, black soil, were at once a wonder and an inspiration. A town site was laid out a little to the south of the grove and called Wethersfield. By the forms of the Association, each share of stock gave the owner the right to select a quarter section (160 acres) of prairie land, a twenty acre timber lot and a village lot, which contained two and one-half acres. A number of other colonists arrived the same year, and the season was taken up mainly with the construction of log houses and the raising of small crops to provide for the coming winter. Space forbids any extended account of the privations of these early comers or the growth and final success of the venture. The Catholic scare was purely imaginary, but the results were good for the parties concerned and for the communities planted in the new country. Three other settlements were made in the near vicinity of Wethersfield, one at Andover, by Massachusetts people, one at Genesco, by New York people and one at Providence by Rhode Island people. Colonel Blish took an active interest in the affairs of the new country and aided and encouraged its development and settlement. He became a large land owner and prospered beyond his most sanguine expectations. In 1853, a railroad was projected which would give connections to Chicago, and into this enterprise he launched with all his accustomed vigor, and in 1855 the railroad was a reality. From this time the real development of the country began. A railroad station was located a little over half a mile north of the Town site of Wethersfield, which was named Kewanee, that meaning in Indian dialect "prairie hen." Colonel Blish owned a quarter section of land adjoining the new railroad station, which is now a part of the city of Kewanee, and completely covered with factories and residences. 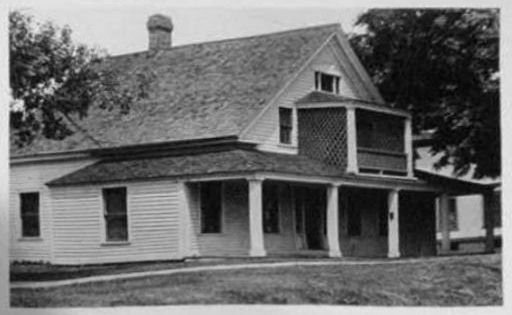 That is east of the original village of Kewanee, while the City has now extended a mile to the west and taken in his old homestead and orchard, which was just at the south edge of the grove. Even the old Village of Wethersfield is now putting on city airs with water works, street lights and trolly cars. Colonel Blish was for many years the post master in Wethersfield and held the same office in Kewanee, until his death, being the first post master in both places. For many years after his arrival in Wethersfield, Colonel Blish kept the only hotel in Wethersfield. The old oval sign stood upon a post, with the words: "S. BLISH INN" painted thereon. His house was the stopping place for the stage lines which traversed the country before the advent of railroads. The greatest obstacle, with which the pioneers had to contend, was the lack of transportation facilities and their great distance from (orig spelling was "form", believe this to be a typo, CBB) available markets. A limited quantity of wheat was marketed, by teams, at Peoria, Lacon, and other river points, and occasionally at Chicago. The surest source of income was by fattening hogs, butchering and dressing them and hauling the whole carcasses to the river towns and selling them to the packing houses, or by raising cattle and selling them on the hoof to buyers, who took them away in droves to eastern points. 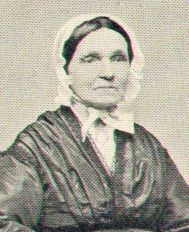 Soon after the settlers arrived in Wethersfield, they organized a Congregational society. Meetings were held at the houses of the members, and Colonel Blish's house being the largest, was usually used. Colonel Blish was the first chorister, and the music was strictly vocal. Later a bass viol was added. In the fall of 1838, a log school house was built, and this was used for church services for some ten years. Colonel Blish was also an extensive (orig spelling was "etensive", believe this to be a typo, CBB) stock raiser and took especial pride in his horses. He brought the first Morgan horses to Wethersfield, and the effect of his labors is still apparent in the neighborhood. He was an expert horseman, and no animal was too wild for him to handle. He died 8 October, 1855, in the old house on the place on which he located on his arrival in Illinois, a new house which he was building, having been almost ready for occupancy. He is buried in the old Kewanee cemetery, which he donated to the Village, when it was first laid out.